Swarthmore raised more than $200,000 in gifts and pledges for engineering equipment in the last year, allowing the College to qualify for a $100,000 challenge grant from the George I. Alden Trust. In the coming months, 22 pieces of computerized, state-of-the art equipment will be installed in Hicks Hall, enhancing the precision, reliability, and flexibility of instructional laboratories in the Engineering Department. The new equipment—including a 1.2 kW fuel cell system; materials, soils, and mechanical and structural testing devices; and a semiconductor device analyzer— will be deployed across five laboratories: thermal energy, materials, soils and construction, mechanical and structural, and electronics. To pay for the equipment, Swarthmore raised more than $200,000 in gifts and pledges from donors in the past year, allowing the College to qualify for a $100,000 challenge grant from the George I. Alden Trust. The new equipment will further enrich students’ already extensive laboratory experience, which is an integral part of the engineering curriculum. “Hands-on experience is vital to enhancing the practical understanding and exceptional creative abilities that, along with an extensive understanding of fundamental scientific and mathematical principles, characterizes our engineering students,” says Professor of Engineering and Department Chair Lynne Molter ’79. Because engineering reaches beyond the department to serve students in other disciplines, majors and nonmajors alike will benefit from new equipment. 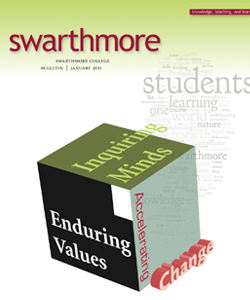 All Swarthmore students are required to take at least one science laboratory course, a requirement that has fostered the development of such engineering lab courses for nonmajors as Problems in Technology and Introduction to Sustainable Systems Analysis. 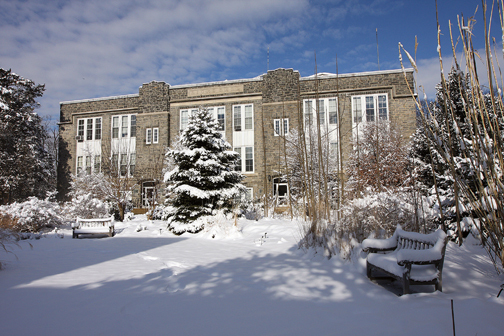 Engineering faculty members are also an integral part of the College’s environmental studies program and offer environmental courses for nonengineering majors.